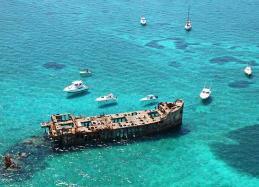 Bahamas Vacation Package, Bahamas Cruise and Stay, Bahamas cruise and Stay Vacations. aboard equally colorful craft, sailboats float gently in the wind, and jet skis crash through the waves. hundred years later, the Commonwealth of the Bahamas declared its independence. shopping, and the opportunity to relax in this varied tropical paradise. Local Currency Currency can be exchanged at airports, banks, hotels, restaurants, and some shops. money into U.S. rather than Bahamian dollars. and 62F (17C) to 70F (21C) degrees at night. Book your Bahamas Cruise and Stay Today! can bring the whole family! Stay at the resort for 2, 4 or 6 nights! swimming with dolphins, horse back riding, golf and more. Come to the Bahamas, Enjoy the Sun, sand and sea you know you want to go! world’s most beautiful and pristine beaches. Enjoy Life! Grand Bahamas Island, Bahamas! Honeymoons! 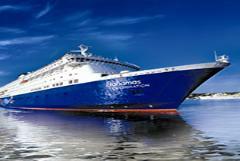 Book your Bahamas Cruise and Stay today! What's Included on the 2 night Bahamas cruise? today for the best vacation value anywhere! shore excursions, beverages, fuel surcharge if applicable. cabins. The cruise is just 3 hours from Miami to Bimini Bahamas! beach or at a marina before returning for a meal on the ship. mysterious Bimini Road that some believe is road to Atlantis! more than a few rums with the locals. on the island of Bimini. nights on the Island, we offer budget, all inclusive and 5 star resorts! 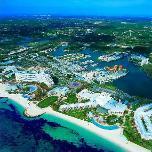 paradise resort in Lucaya.Book your Bahamas Cruise and stay today! Days for two $1687.08 As usual, we've included all taxes & fees. Our Bahamas Beach Vacation Packages offer something for everyone! entertainment, Pool, Casino, Sun decks and more. Happy Bahamas Cruise and Stay Travelers! symbolizes a new beginning for you and yours. or Cruise Ship weddings! Starting from 399.00 for mid week ! other day of the week!